A few months ago, to grill without a grill and get smoky flavor in a five-story walk-up apartment without a backyard or rooftop access in the middle of Manhattan would have sounded like an impossible fantasy to me. 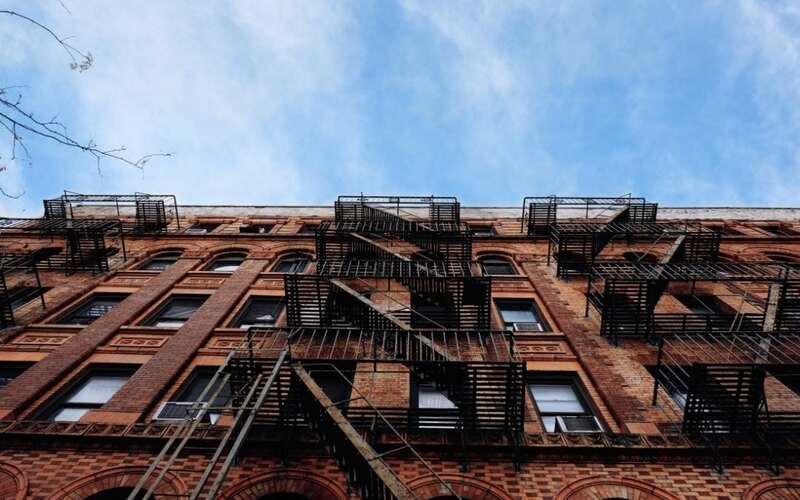 New York is known for its small apartments, smaller kitchens, and delivery meals. Growing up, I spent lots of time with my parents grilling meat over an open fire in the country, but when I moved to the city, I figured that I’d have to save the warm, smoky flavor of grill-powered cooking for vacations to places with more outdoor space. I missed grilling, though, and when I received a box filled with a variety of planks with intriguing favors like maple, cedar, and cherry, my curiosity was piqued and I was interested to see if the planks might be a way to infuse a little outdoor flavor into my city cooking. Not long after I’d unpacked them, I had two sea bass fillets planking in the oven, our New York City kitchen was filled with light Northwest wilderness notes and I immediately started jotting down ideas for future planked dinners. I used baking sheets filled with water to soak my planks. To save time and be ready to grill spontaneously, I pre-soaked my planks, wrapped them in plastic and stored them in the freezer until I was ready to cook. To prevent fat and juices from dripping down into the oven, I placed the planks on a sturdy rimmed baking sheet instead of setting them directly onto the wires. Use your gas oven broiler. Like many New Yorkers, I have a gas oven. I do most of my plank cooking in the main section of the oven until the dish is almost done, then turn on the broiler and transfer the planks to the broiling drawer at the bottom of the oven. When broiling, I leave the drawer open slightly so I can watch the planks darkening and catch them before they burn or get too smoky. Smoke from the planks brings a lot of flavor, so you certainly want some! To make sure any excess smoke that escapes from the oven doesn’t linger in my kitchen, I crack the window and run the oven fan while using the planks. I keep the oven door closed as much as possible to maintain heat and contain the smoke, and I especially keep a sharp eye out near the end of the cooking time when the planks are starting to darken and burn. So far, I’ve found that oven grilling works best for smaller and faster-cooking foods like fish fillets, seafood, chicken breasts, steaks and veggies. I wouldn’t try oven planking whole chickens, pork shoulders or other large cuts of meat that need to be covered for a longer time to cook entirely through. Grilling with planks is fun and delicious regardless of where you do it. If you’re skeptical about grilling indoors, give it a try — I was really happy to find a new way to use my oven, and to bring at least part of the grilling experience into the city with me. Want to cook one of Katie’s creations? 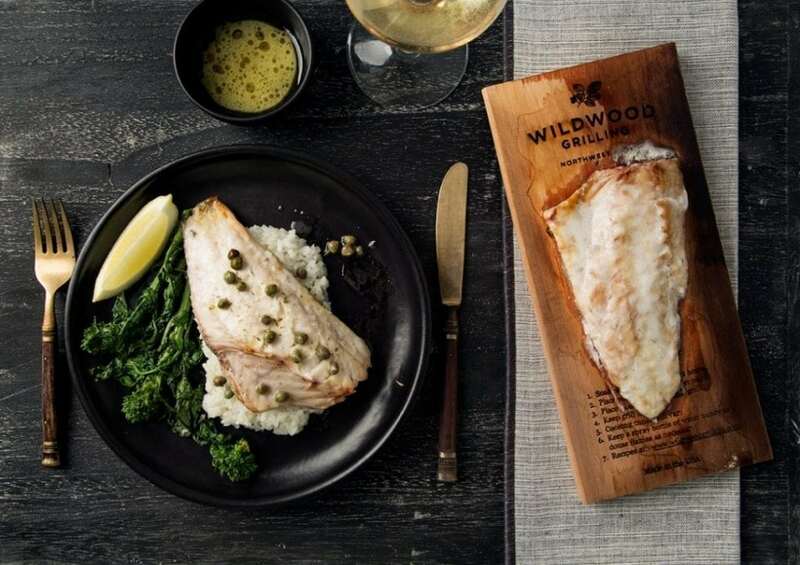 Check out this delicious Alder Planked Sea Bass Recipe – cooked completely in the oven! Kate Kosaya is a New York City­-based food photographer, stylist, and content creator. She spends her free time cooking, collecting props, and blogging about life and food at lublyou.com.